Coin sheet VISTA for 2-Euro coins. Each for 20 2 euro coins. Each for 20 2 euro coins. Colour: blue with gold-coloured lettering, 4-ring punched holes. 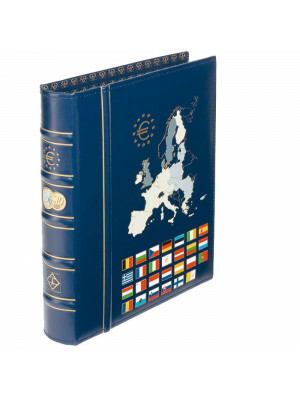 Vista Classic Euro ring binder is recommended to store these euro coin sheets. 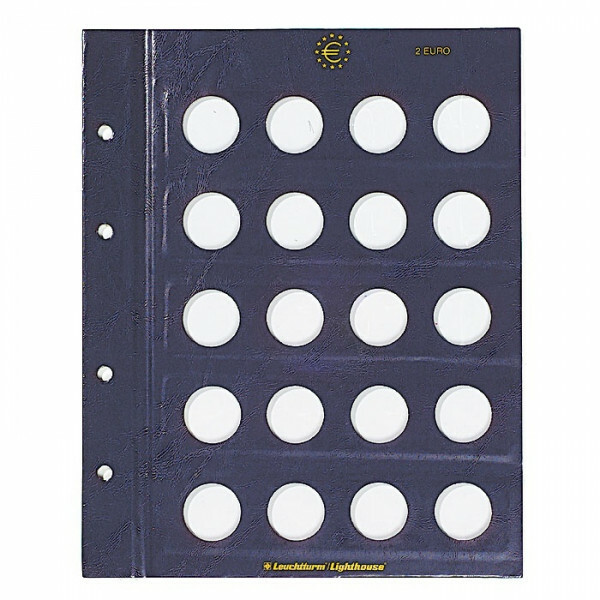 Neutral Optima Classic ring binder also can be used. 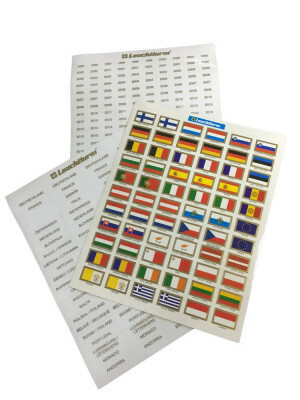 EURO sticker set can be used to label these sheets.